The Air Jordan 4 “Fire Red Suede” is often referred to as the “Toro” as it’s red suede uppers, are reminiscent of the classic Air Jordan 5 that released in the Toro Bravo pack. This particular colorway was first spotted on Carmelo Anthony and was considered a PE in the beginning. However, Modern Notoriety first confirmed this particular colorway back in December and now, we have a release date for those that have been patiently waiting. The Air Jordan 4 “Fire Red Suede” aka “Toro” releases on October 26th, 2013 at a retail price of $160. Let us know in the comments section if you’ll be picking these up! I’m happy to see these @ $160 in October. I would have thought JB may have creeped up the prices by the end of 2013! 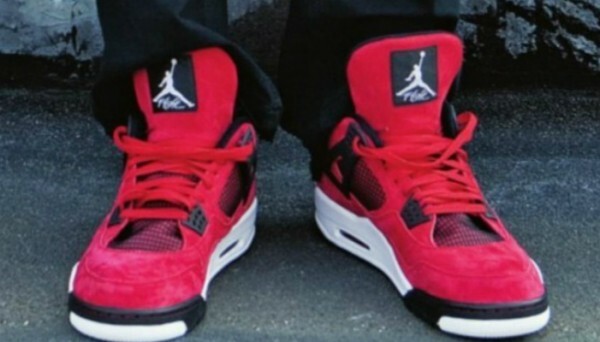 nah..They look nice though..I’m not feeling thetounge on the 4s its huge.